The KR Joey Pro is a great add-a-bag option. Instead of purchasing an expensive single tote just slip this on the handle of your roller bag to add additional space! Or you can carry this to the bowling alley as a one ball tote, although, this doesn't hold bowling shoes. Easy to take extra ball-very secure. This is a great Joey! My only issue with it is the base - if the ball doesn't sit just right, it ovals out the seating and doesn't stay "flat" in the bag. By "The Other Jim". or "Newf". from Tucson, Az. 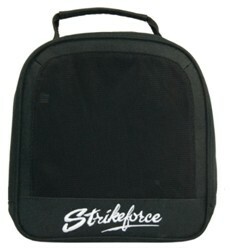 Alternate strike ball carrier. 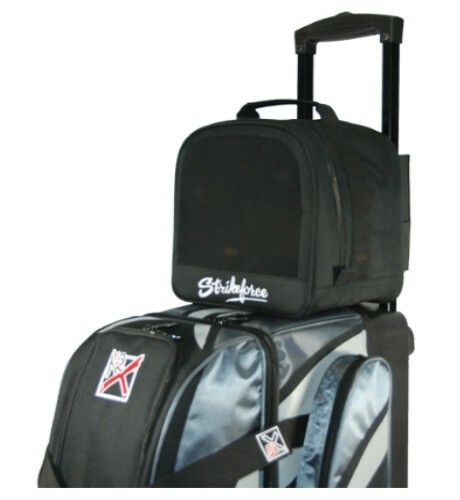 Saves going to larger wheeled bag. Hello Bernie. The Joeys are meant to carry one ball and can slip over the top of the roller. The Joey bag can also be used as a single tote. Since this is secured with zippers, it should not come out of the Joey. 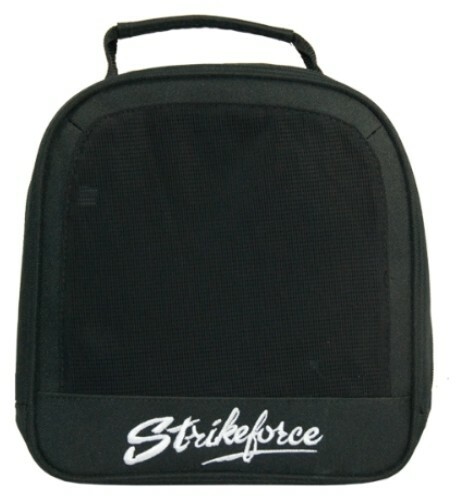 Due to the time it takes to produce the KR Strikeforce Joey Pro Black ball it will ship in immediately. We cannot ship this ball outside the United States.